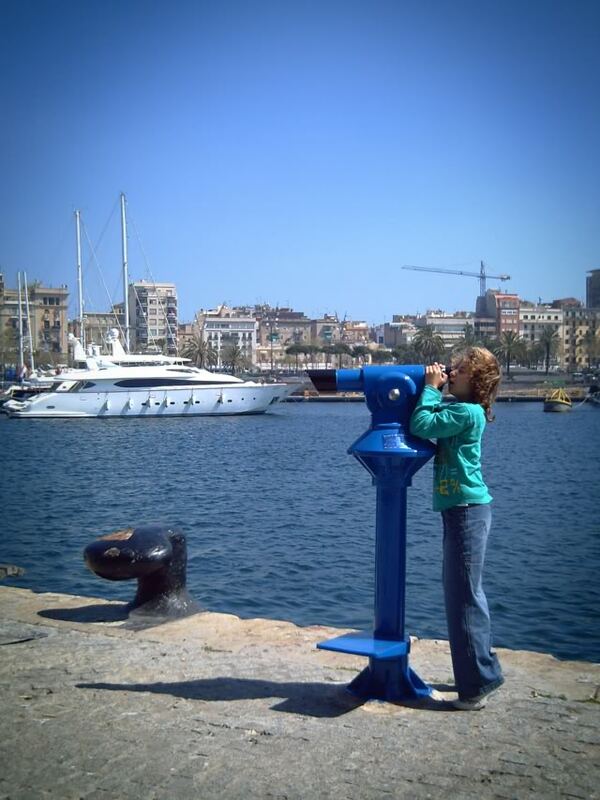 My daughter last spring at Maremagnum in Port Vell, Barcelona. She asks me for a coin and goes sightseeing, just like looking at myself in the mirror not so long ago...at least in my mind. wow, thats a very blue and clear sky. Its not always I got to see cloudless skies, great photo. and your daughter is charming!! Nice to see a shot from the 'personal' collection! Carlos, since last Friday, almost evry pic. you've posted has automatically made me think of images in my archives on similar themes. Woke up this morning thinking of some reflection shots that I particularly like, and would like you to see. Now even this one (no,I've no surreptitious shots of your daughter!). Since yesterday till sunday, Lisbon is hosting the 50th anniversary of the Tall Ships Regatta. There are 75 of them docked on the river. You can visit & there are many riverside events, music, fireworks etc. Sunday will be spectacular for photography when they all sail past the city & out to see. Wanna come over? Bring your daughter, camera and that telescope. In fact,everyone invited! Carlos, I think that this is a lovely picture and a great sentiment. I like your thought of seeing yourself, a few years ago, in the photograph of your young daughter sightseeing with only a coin and a public telescope. I thought of you taking this photograph while sightseeing with your SLR. Then, I remembered a fun definition of a man: a man is simply a boy with more expensive toys! Sometimes, I think this fun definition has more truth than poetry - thank goodness! The vignetting of the sky is fantastic and made me focus on the subject, your beautiful daughter. well, once a day, we all look into the same mirror. Carlos, you got a picture of my yacht in this one. Small world! I bet she loves going around with her papi. I'm sure you have lots of great pictures of her. Qué momento atrapado, una composición genial. That is too sweet! Of course, that could be me as well, considering my height.